My Grandma was actually the one that got my family into golf. She started playing in the 40's, and taught my dad and his brothers. She just died after a long illness, and they started going through the house and everything in it. Among all the junk, my parents found this golf ball box and thought I might want it. Who knows anything about these?? Year? Who made them? Who made them? I love the part that says "professional click"
Wow that is a pretty cool find. 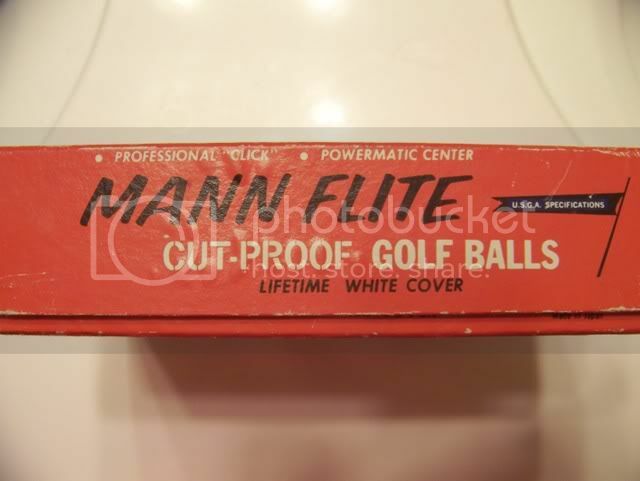 I love the name Mann Flite! It sounds like a golf ball that one of Will Farrell's characters would use. 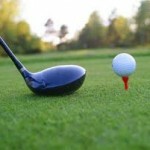 I wish golf balls were still $2 a dozen. 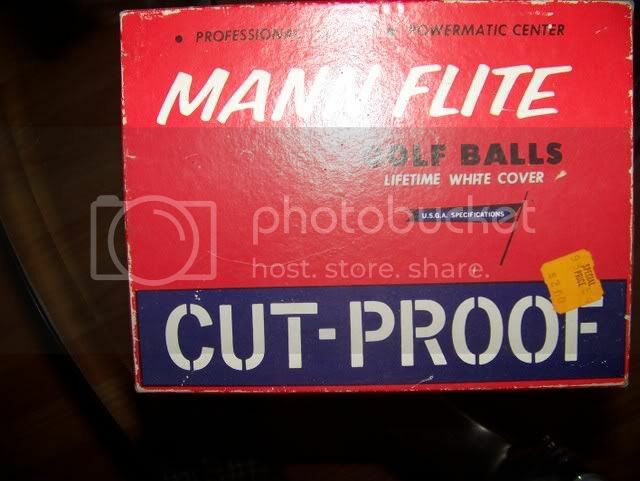 I dont have much info on those balls but I remember "cut-proof" balls being introduced in the early 1970's. Before that we played balls that would "cut" if you misshit them. 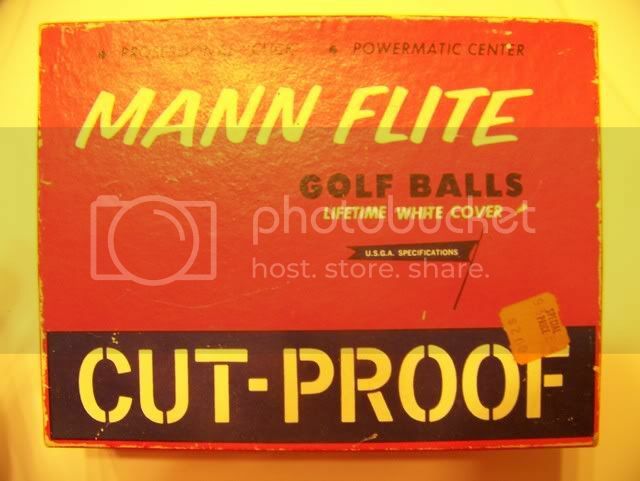 I was 12 years old and cut lots of balls so the introduction of cutproof balls was big news. Starflite and Canada Cup are ones I remember. Club Special were the cheap non-cut-proof balls we used before that.